Whether you have small network setup to share one internet line and a printer or a large office building you have came to the right place. 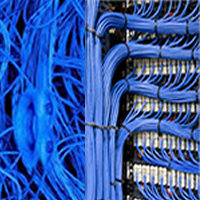 Structured Cabling is the main network from your computers, printers and phones back to the switch. It important that this part of your network is installed correctly to industry standard and tested to ensure you get the best out of your network. 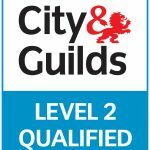 Qualification or Certification certificates can be given on completion of all our installs. If a new complete link is installed using our recomended products we can also back it up with a 25 year warranty on the componemts used. Quotes are given on a job by job basis as many factors have to be considered; from cable length, to networking equipment to security and wireless accessibility. Over one or more floors we provide free no obligation quotes and can advise you on the best choice of network based on your needs. Cabled networks can be wired in Cat5e or Cat 6 depending on the requirements of the install. We can also install a fibre backbone for interconnects between buildings or floors. Please contact us for pricing as every installation is different and tailored to your needs. One of the biggest challenges of any business is to keep the business going, in order to do that users need to have data access. Over time with various additions to the network the patch panel(s) and switch(s) may become cluttered and unsightly. This may also lead to the occasional cable drop out as the weight of a mass of cables can pull one or more out of their ports. We offer a service where we will inspect and organise your patch panel making it tidy and user friendly. During this service we can colour code the patch leads according to function making them easier to identify. Use cable management to reduce the amount of the spaghetti effect within the patch cabinet. We can even test your ports to make sure they are all still working and provide a full report so any future upgrades can be planed knowing what’s available. Please get in touch for more information, this service can be done out of normal working hours to minimise disruption.